Singapore Urban Design Festival (#UDFSG) is a placemaking festival, conceptualised by LOPELAB, to champion sustainable urban development through education and unique experiences. The first of its kind in Singapore, #UDFSG focuses on raising awareness for innovative urban design solutions to offer a global perspective with local insights, fostering a collaborative community of like-minded individuals. Location: Jalan Besar Sports Center, Multi Storey Carpark. 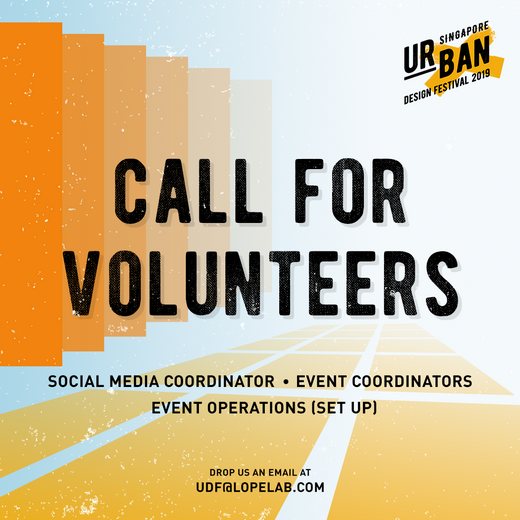 Event Operations/Builders to help the UDF team in building elements and furniture and decorating the space for the festival.